We are providing Shayari/poetry for frendship.This is a very special relationship and at times it's difficult to find word to express what it means to you. 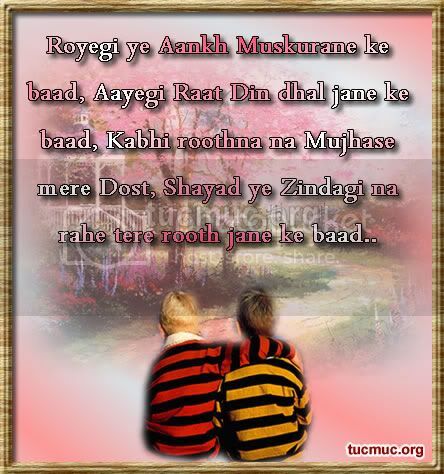 These hindi/ urdu shayari might help you to do that. "I'll lean on you and you lean on me and we'll be okay."